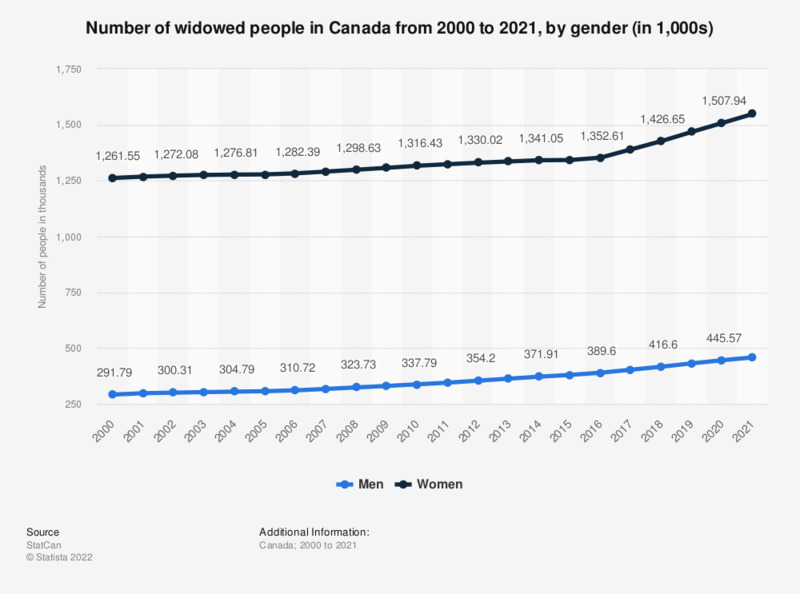 This graph shows the number of widowed people in Canada from 2000 to 2017, distinguished by gender. In 2017, about 1.55 million women were widows in Canada. Widowed (including living common law) includes persons who have lost their legally-married spouse through death and have not remarried. Those who live with a common-law partner are included in this category.